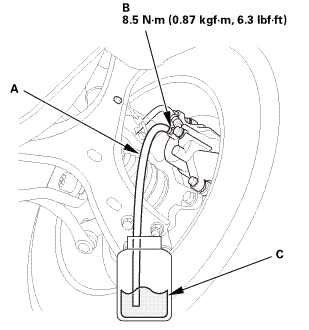 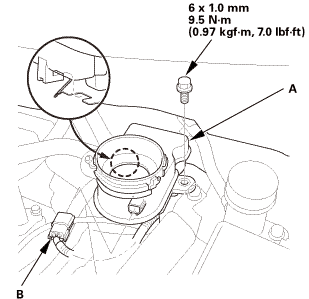 Remove the reservoir cap and the brake fluid from the master cylinder reservoir with a syringe. 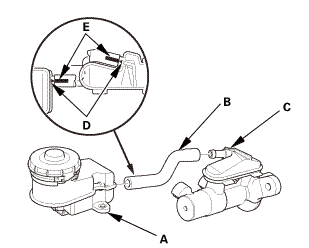 Do not try to disassemble the master cylinder assembly. 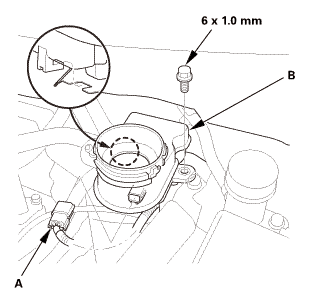 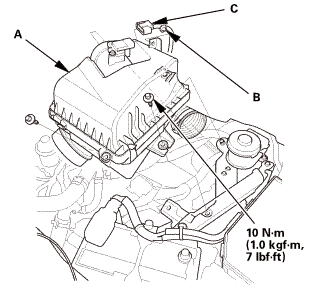 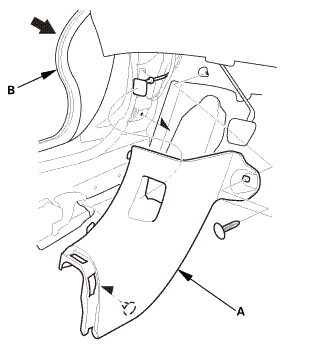 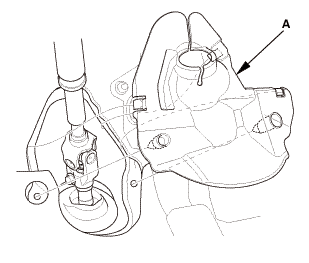 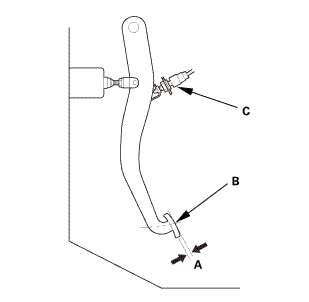 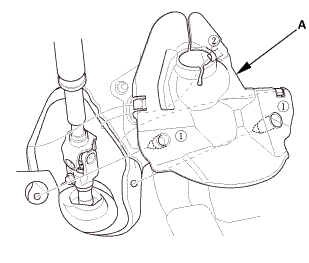 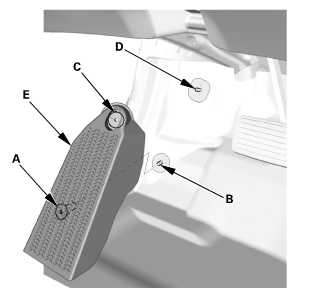 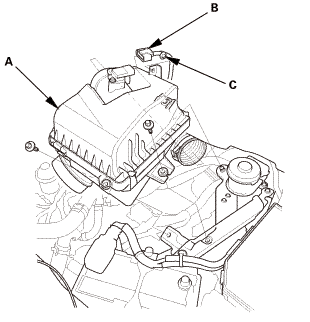 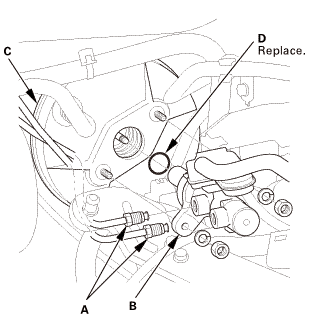 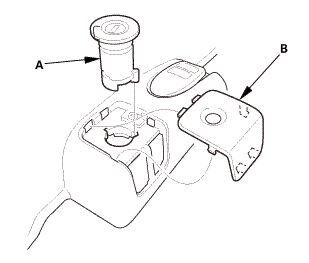 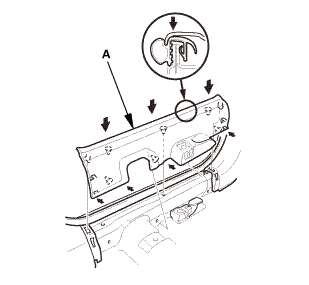 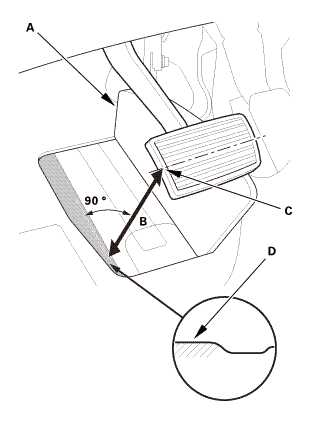 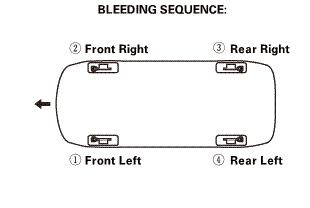 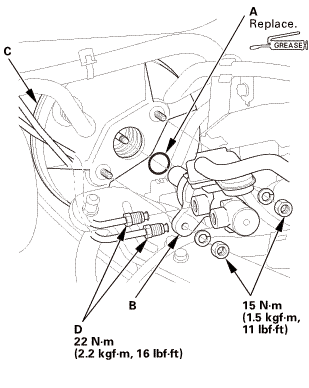 Replace the master cylinder assembly with a new part if necessary. 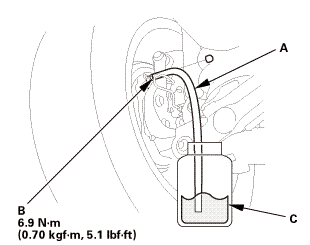 Do not allow dirt or foreign matter to contaminate the brake fluid. 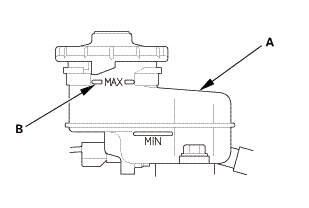 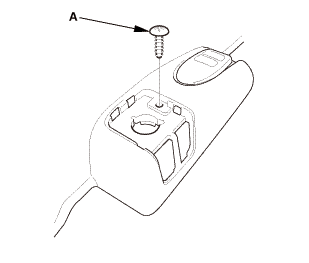 If the reservoir tank hose was disconnected, install the reservoir tank (A) and the reservoir tank hose (B) to the subreservoir (C). 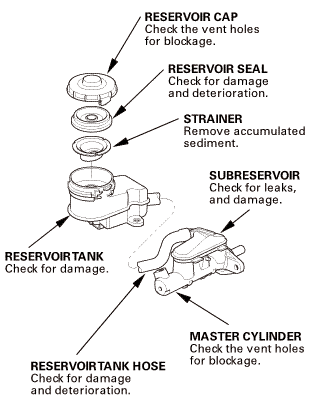 NOTE: Align the ‘‘ ’’ marks (D) on the reservoir tank and subreservoir with the paint marks (E) on the hose.